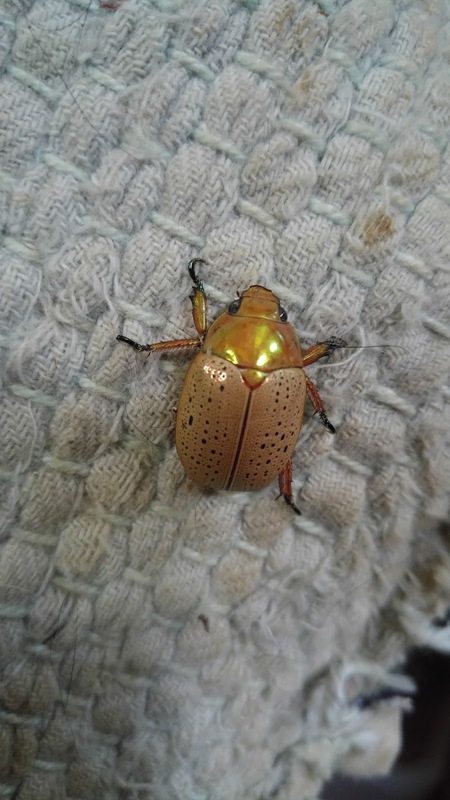 Around the end of November we start to see a gorgeous type of scarab beetle here that we call a Christmas beetle. There are 35 species of Christmas beetle and their numbers are declining all over Australia. When I was a child we would have so many of these beetles invading the house that we would collect them in a jam jar to relocate outside. They fly into the humpy like a World War Two bomber, droning around the light with laborious care. They usually end up stuck behind furniture or in the track of a little opened window. If we find them alive, they go outside in the daylight so they can at least have a chance at breeding. The average Christmas beetle lives about two years and starts life as a curl grub in the compost heap or under a log. Once they emerge as beetles and begin the search for a life partner (or at least a decent one night stand) they eat the roots of grasses and some trees. If they don’t become a meal for something (my chooks love them), they mate and the females return to the ground to lay eggs. Lots of native animals (and exotics too) eat Christmas beetles: from currawongs, Kookaburra and herons to goanna, small snakes and possums, they all love a good crunchy beetle. The baby ducks will snap them up and run away, squeaking excitedly, to find a safe place to eat them. Beetles of this kind (Scarabs) also play a role in pollinating. They are a very important part of the food chain. While the decrease in numbers may make sweeping the floor and cleaning behind furniture easier it is a sad testament to our lack of understanding about the importance of all those tiny lives which support our own. To boost the numbers of these beetles you can plant trees, mulch gardens and leave open areas of grass and shrubs. Leaving curl grubs in the ground in some areas can also boost numbers; we harvest all manner of insects from our soils to feed animals in care, but we also try to leave some areas alone so that we don’t accidentally make any species extinct on our land. 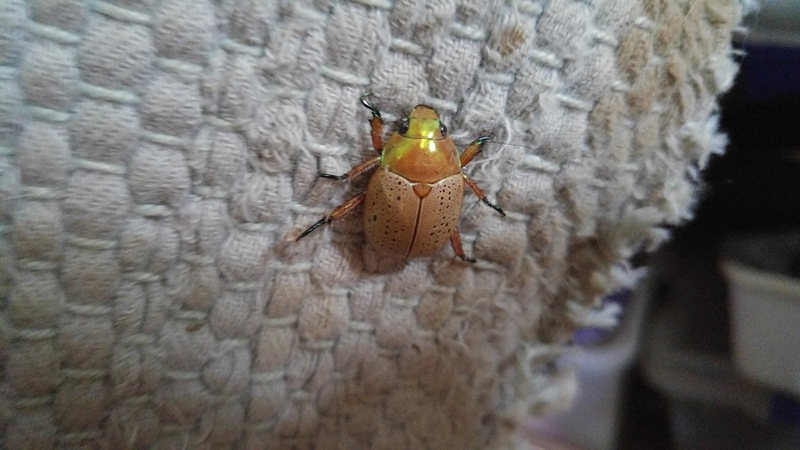 Do you remember Christmas beetles when you were younger? Have the numbers declined in your area too?